October is Occupational Therapy month in Canada. This month we want to shed light on the benefits of what therapy and rehabilitation can do for you. Meet Katie Schinkel, OT (Occupational Therapist) and Bayshore’s Director of Therapy and Rehab. Katie has been with Bayshore for five years, and has an inspirational story to tell about how Occupational Therapy has helped her. Q: Tell us a bit about yourself? A: I am an Occupational Therapist (OT), with an undergraduate degree in Kinesiology and have been practicing for 16 years as an OT, which is hard to believe! After graduation, I started my career at McMaster Hospital in acute medicine. Eight months into my first OT job, I was a passenger involved in a serious motor vehicle accident on QEW Niagara. My friend swerved the car to avoid a bedroom dresser that had fallen off a truck and ended up in the ditch, striking a cement culvert. The impact almost killed me, but also saved my life because it prevented our car from flipping on its roof. I was knocked unconscious, sustained multiple internal injuries and my head shattered the front windshield – thankfully I have a hard head! When I was discharged from hospital several weeks later I was told I could not work for a year. This was devastating to me as a new graduate. Instead I put my OT skills to good use, and worked on building my activity tolerance, strength, independence with self-care and confidence. I found an OT job 4 months later that didn’t require heavy lifting and ‘convinced’ my doctors I was ready to return to work – I was never a good patient, ha. This job happened to be in the automobile insurance sector, helping individuals who had been involved in motor vehicle accidents. How is that for irony? Five years ago I was very excited to join Bayshore Therapy & Rehab, which was at the time, a new division of Bayshore HealthCare. I am currently the Director of Bayshore Therapy & Rehab in Ontario. I still provide clinical OT services for a few clients, because I love being an OT. I am also a Professional Associate of McMaster University. Over the years, I have developed skills in hospital discharge planning, OT in home assessments, attendant care assessments, cognitive assessments, job demands analyses, work site assessments, return to work programs, ergonomic assessments, vocational assessments (CAPS/COPS/COPES & CWPI), and medical legal/future care cost assessments. I am WorkWell Certified to complete Functional Abilities Evaluations and Work Hardening programs. I have extensive experience developing and implementing rehabilitation plans and return to work plans for individuals who have sustained traumatic injuries, including acquired brain injuries, spinal cord injuries, multiple traumatic injuries, complex orthopaedic and soft tissue injuries, and mental health impairments. Outside of work, I have regained my passion for the gym finally (always good to practice what you preach right?! ), love travelling with my husband, family and friends and volunteering my time with several organizations including the Brain Injury Association of Niagara. I became a Board Member last year, and sit on several committees to help raise funds and awareness for individuals who have sustained acquired brain injuries. I also developed the Niagara Pain Program with colleagues from Bieman-Copland & Associates in 2014 to help individuals suffering from chronic pain and multiple injuries/impairments to learn to manage their pain from an interdisciplinary perspective. This all keeps me quite busy, but I wouldn’t have it any other way! Q: What is Occupational Therapy (OT) and what are the benefits? A: Occupational Therapists work with individuals of all ages, who have sustained injuries or impairments that have impacted their independence and ability to complete daily activities. These impairments might be physical, cognitive, psycho-emotional, functional or all of the above. Our clients and work settings are very diverse. Individuals might have been injured in a motor vehicle or work place accident, have an illness, live with a disability or have mental health issues. OTs work in every environment including client’s homes, hospitals, the community, schools, correctional institutions, the military and long-term care facilities. To me the benefits of occupational therapy are endless, but the ones that stand out are maximizing independence, safety, function and quality of life. Q: What is the role of an Occupational Therapist? OTs might help clients make changes to their environment (i.e. 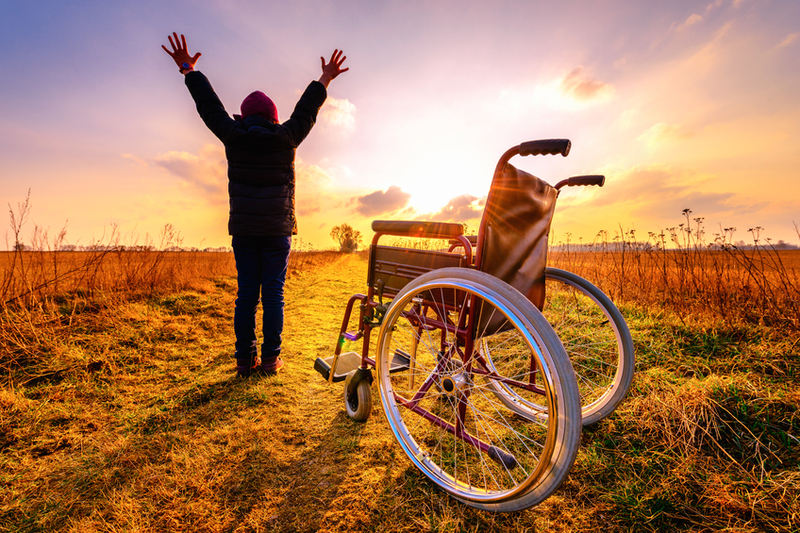 remove scatter rugs and install grab bars to prevent falls, recommend wheelchair for safe mobility, set up a work station ergonomically), make changes to themselves (i.e. work on brain exercises, increasing activity tolerance, pain management and stress management), or make changes to the task or ‘occupation’ (i.e. when preparing a meal, use pacing and energy conservation techniques to build activity tolerance). Together, clients and OTs set goals, and work towards accomplishing the activities that are most important to them, which maximizes their quality of life. Q: What Occupational Therapy services does Bayshore offer? A: At Bayshore Therapy & Rehab, our specialty is providing in home occupational therapy services for individuals of all ages who have sustained injuries and impairments following motor vehicle accidents, workplace accidents and illnesses. We also provide occupational therapy services for seniors in their homes and long term care facilities to improve function, independence and safety, which helps not only the client, but also their families and caregivers. We have OT services across Canada and over 200 therapists with diverse skills to meet your needs! For more information on therapy and rehab click here.